The Lion King was a huge part of my childhood; I’ve always loved Disney movies, but 1989 through 1994 were the most important years for me. First The Little Mermaid came out, then Beauty and the Beast, then Aladdin, and then finally The Lion King. Each movie was better than the last, becoming my new favorite. My twelfth birthday was The Lion King themed, and the only other Disney inspired party I’ve ever had was The Little Mermaid. 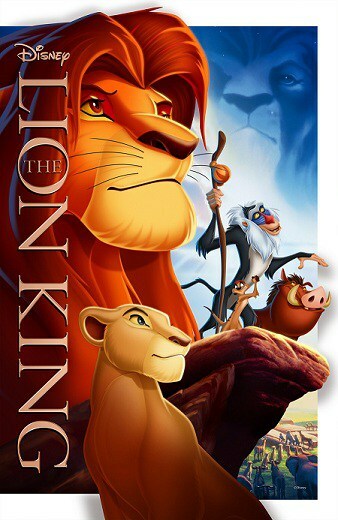 The Lion King debuted on Blu-ray Diamond Edition on October 4th, 2011 in a 2-disc, 4-disc, or 8-disc collection. The 2-disc collection contains the regular DVD and the Blu-ray; the 4-disc collections contains the regular DVD, Blu-ray, Blu-ray 3D, and a Digital Copy; and the 8-disc collection contains everything in the 4-disc collection as well as The Lion King 1 ½ and The Lion King 2. I should also note that this is the original theatrical version; Zazu’s “Morning Report” song is now located in the Bonus Features if you really want to watch it. I personally prefer the theatrical version, which shows Mufasa teaching Simba how to hunt prey using Zazu. When I finally got a chance to sit down and watch the Blu-ray edition of The Lion King, I was completely mesmerized by how beautiful the animation looks. It felt like the movie was shiny and new again, and I was impressed by how much sharper the pictures looked. I was truly drawn in by the small details (example: the ants at the very beginning of the movie crossing the stick). Even my husband sat down with my daughter and me for a few minutes to watch. Eventually they both went on to do other things, and I just kept watching–even though this is a movie that I have seen probably over 100 times by now. Like I said, it was a favorite of mine when I was little, and it is now a favorite of my daughter’s. In addition to the wonderful animation and memorable characters, The Lion King tells an incredible story with both its screenplay and the music of Elton John, Hans Zimmer, and Lebo M. Simba is a young lion cub who takes his birthright for granted, not knowing that there is more to just being a great king than getting your way all of the time. It’s only through experiencing the death of his beloved father, running away from home, and then finally coming home again to see his birth land in ruins that he is able to put the past behind him and fight for what is truly his. It’s hard to believe that The Lion King was a movie that no one at Walt Disney Studios at the time wholeheartedly believed in. In many ways, Simba’s rise to king and the movie’s rise to success is the same. The Lion King remains to this day the highest-grossing hand drawn animation film. Owning a DVD or Blu-ray isn’t just about having a copy of the film for me anymore; I love to explore the Bonus Features to find out the history behind the making of a movie, if it’s included. I was very pleased with the Bonus Features on The Lion King. Rafiki was originally going to be a cheetah instead of a mandrill, and the hyenas were originally going to be baboons. 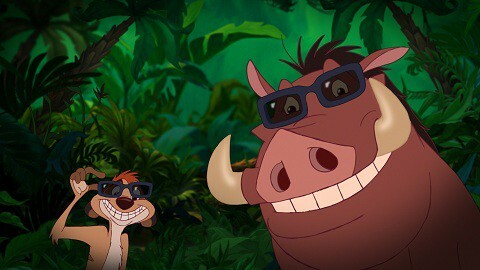 The Lion King was originally going to be called King of the Jungle. That didn’t really work, because the movie doesn’t take place in a jungle. A deleted scene showed an exchange between Nala and Scar, in which he wanted her for his very own. This leads into how she becomes reunited with Simba. Mufasa had his very own song, but it was cut from the final film. Watch the Bonus Features to hear the song and find out why. Yes, I seriously watched every single Bonus Feature on this DVD and enjoyed every minute of it. And I’m even tempted to re-watch The Lion King very soon, but this time in the Sing-A-Long mode. Who am I kidding? I sing along, even without that mode turned on. The Lion King is an absolute must for my Disney film collection. It was a part of my childhood, and it is now a part of my daughter’s. I have loved watching her react to it, and then playing make believe with the lions from her zoo set. 1 lucky Simply Stacie reader will win their very own copy of The Lion King on Blu-ray. This giveaway is open to the US only. Oops I hit enter too soon on the twitter one, my twitter name is xMeganBrittanyx =P Sorry about that.